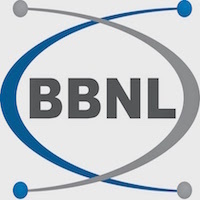 BharatNet, also Bharat Broadband Network Limited, is a Telecom infrastructure provider, set up by the government of India under Telecom department for the establishment, management and operation of . Candidates who have completed Graduate in Engineering in Electronics/ Electronics & Telecommunications or equivalent from a recognized Institute for BBNL Recruitment 2018. Eligible & Interested candidates can download the Notification & Application form on the Official website page at www.bbnl.nic.in BBNL Recruitment 2018.